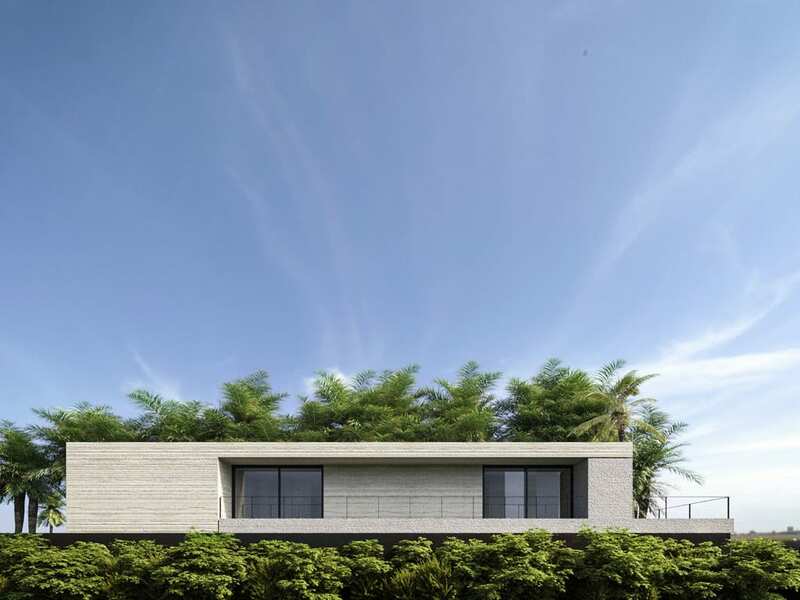 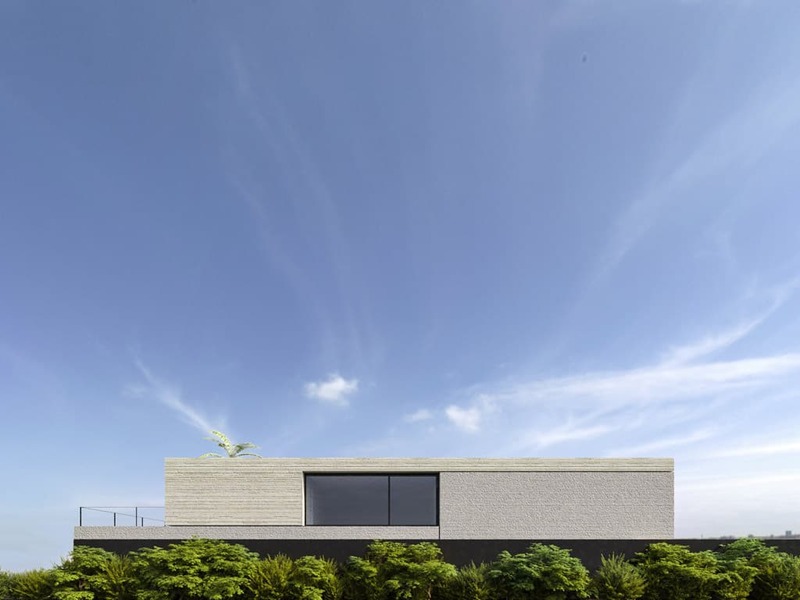 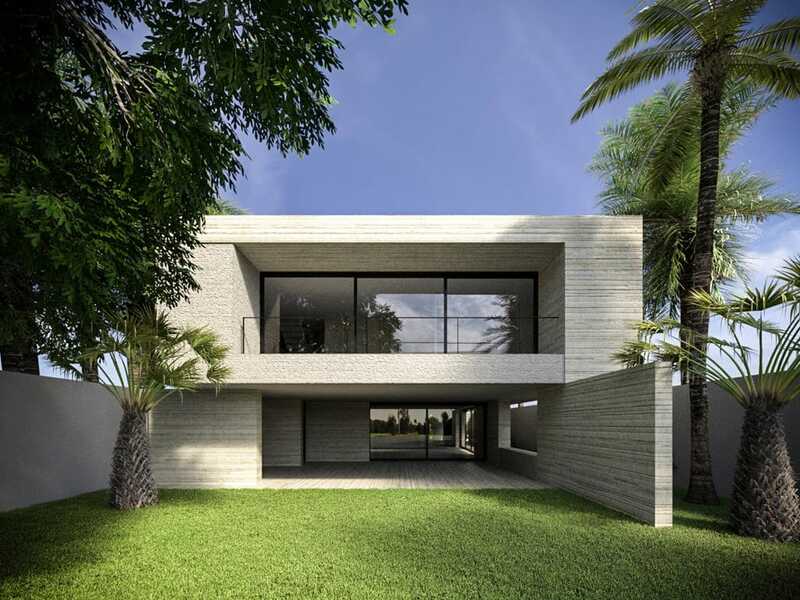 The narrow plot and the request for a house that should protect from the sun and heavy rains generated a project which relied strongly on overhangs and recessed windows. 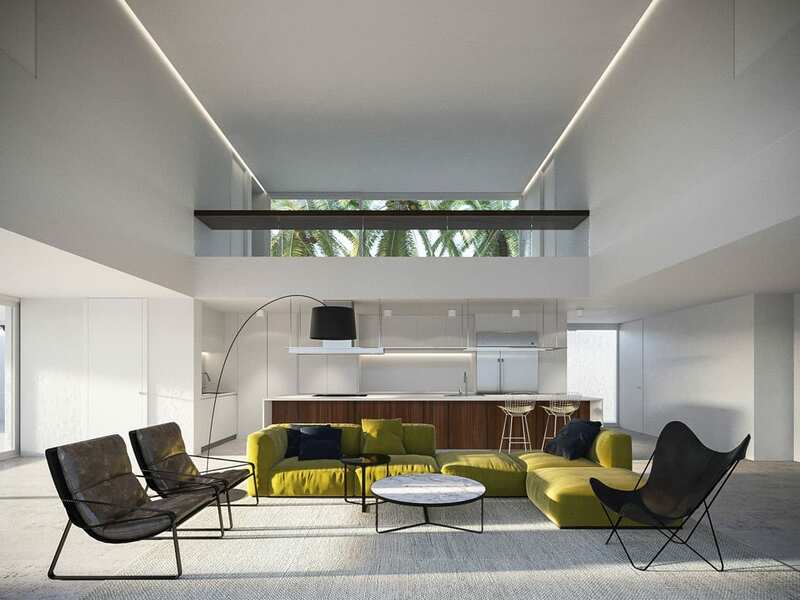 The internal disposition revolves around a central double height living room, opened to the side yard, filled with lush tropical vegetation. 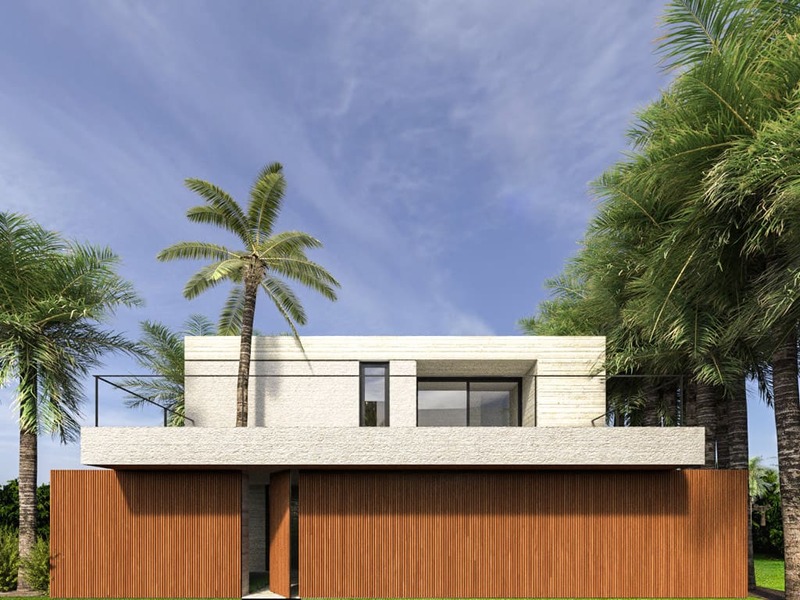 The facade works with different patterns on the local Coralina stone, alternated with tropical wood louvers.